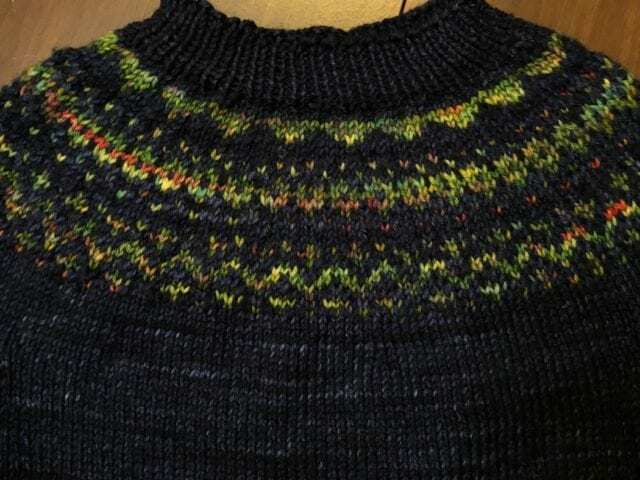 A few months ago, Anne set a lofty goal: she would knit a sweater for each of her four grandchildren for Hanukkah. 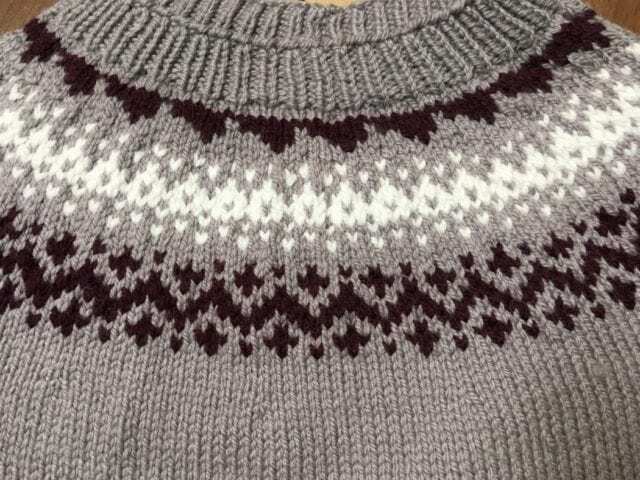 When she mentioned this in conversation at the shop, eyes would widen in disbelief – even four child-sized sweaters represent an awful lot of knitting, after all. 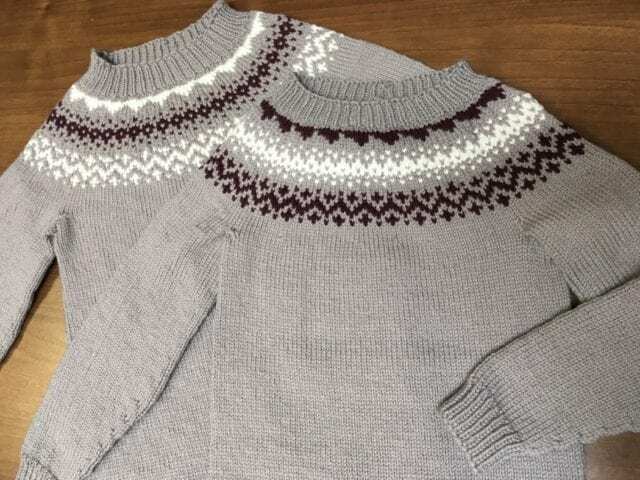 She picked Tin Can Knits’ “Dog Star” pattern, a simple, seamless, colorwork yoke, and spent every possible moment knitting these sweet sweaters, determined to complete them in time. Anne is a woman of her word, and a determined one – when Hanukkah began on December 2nd, she was ready with four finished sweaters. Quite a feat! 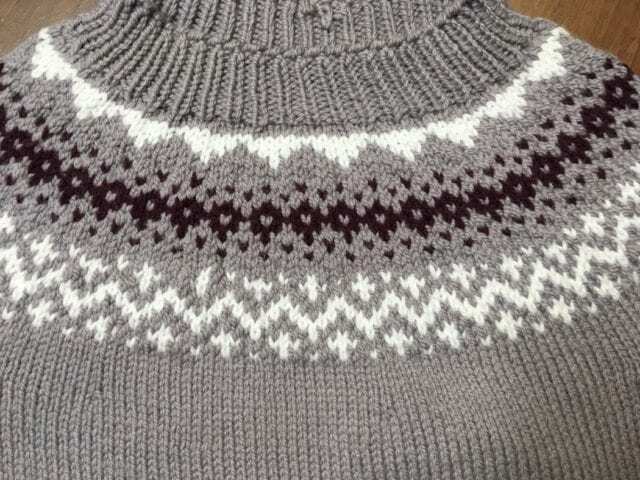 For her granddaughters, Anne knit “Dog Star” with Brooklyn Tweed Arbor, using a sophisticated palette of purplish gray, eggplant, and cream. Knowing the girls might like to match as much as they like to distinguish themselves, Anne flipped the arrangement of contrast colors in the yoke: sisterly matching, yet distinct. 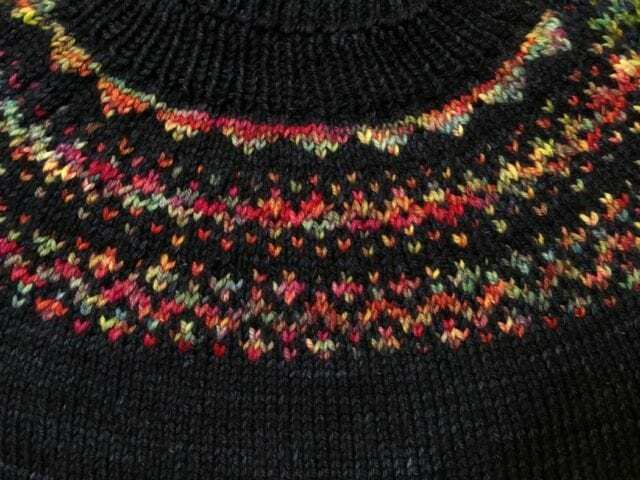 For her twin grandsons, Anne used Malabrigo Rios, again differentiating the sweaters by changing colors in the yoke. 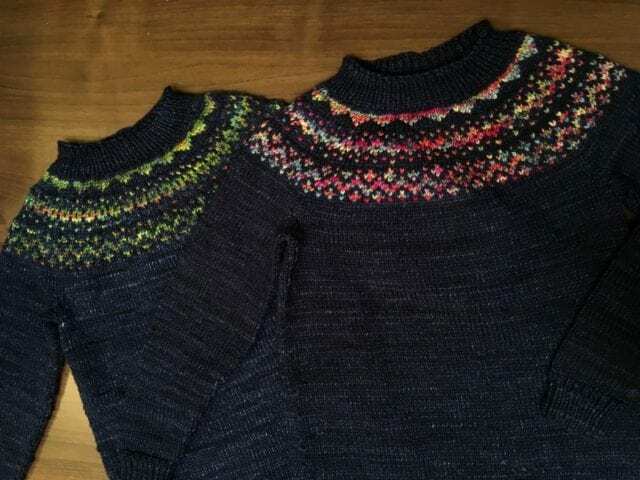 Her boys love bright colors, so she used wildly variegated colorways in the stranded yoke, which, in her words, look like sprinkles against the dark blue background. Hope you’ve met your own holiday knitting goals this season! A reminder, the shop will be closed on Tuesday, Dec. 25 and again on Tuesday, Jan. 1. Otherwise the shop will be open at our regular hours, and we look forward to seeing you there! They are beautiful!!!! Would you consider adopting me? See you Wednesday. The sweaters are beautiful. I like the colors. wow !!! gorgeous work !!! Oh I hope I can knit like this one day !!!!! Of course you can! It takes practice and persistence, but I believe anyone who is excited about the prospect can learn to knit whatever they want.